Since the Monterrey Consensus, progress has been made in all aspects of the process, including seizure, confiscation, management, return and disposal of stolen assets. Despite these efforts, only small amounts of resources have been returned to the countries of origin. In a 2014 survey of OECD members, foreign assets totalling $1.4 billion were frozen between 2010 and 2012, but only $147.2 million was returned to the country of origin. Surveys on asset freezing and return are not prepared annually or globally. To achieve the objective of engaging constituents and developing inter-sectoral approaches to asset recovery, a regional meeting of experts was held in February 2017, and was attended by 89 participants from 34 countries. The meeting brought together a diverse array of practitioners, including asset recovery experts (such as investigators, prosecutors, and public finance managers), and development practitioners. The objective of the meeting was to identify good practices to improve stolen asset return and disposal in support of sustainable development. The outcome of this meeting reflected the current “state of play” of the different legal frameworks. The report will cover the use of tailor-made solutions for the return of stolen assets to ensure that returned assets serve social and economic development goals. The need to protect the returned assets from renewed financial crime is another aspects that will be highlighted in the report. States parties to the United Nations Convention against Corruption have begun to examine their implementation of the asset recovery provisions of the Convention. Between June 2016 and June 2017, during the first year of the second review cycle under of the Mechanism for the Review of Implementation of the Convention, 29 countries will undergo peer review on their implementation of the asset recovery provisions. The review of implementation will offer States an opportunity to share information on good practices and address challenges encountered in recovering assets. The 8th session of the Implementation Review Group will take place in Vienna, 19-23 June 2017. Following the reviews, StAR and other technical assistance providers will also be better informed to provide targeted assistance which meets the needs of States. 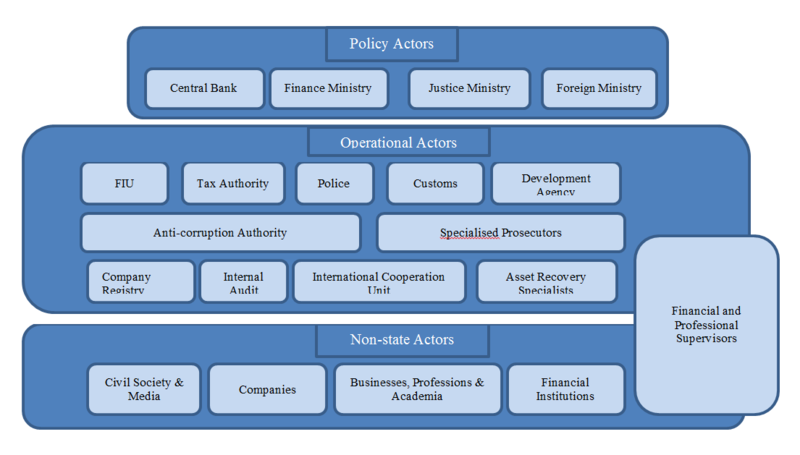 The Stolen Asset Recovery (StAR) Initiative is a partnership established in 2007 between the United Nations Office on Drugs and Crime (UNODC) and World Bank that supports international efforts to end safe haven jurisdictions for corrupt funds.